From a Porsche to a Jaguar, you can take a spin in one of the coolest cars in the world. Rent A Vette has been providing affordable exotic car rentals since 1994. Call (888) 308-5995 or reserve online here. Bentley is credited with coming up with some of the original supercars, which were in production from 1926 to 1930. The most successful racing Bentley was the Bentley Speed Six, introduced in 1928. The Isdera Imperator, a Mercedes Benz-based engine supercar, had a rearview periscope. Land submarine anyone? The Panther Six and the Covini C6W have 6 wheels. Six! The Bugatti Veyron has 12 radiators. The car sitting in your driveway probably has one. 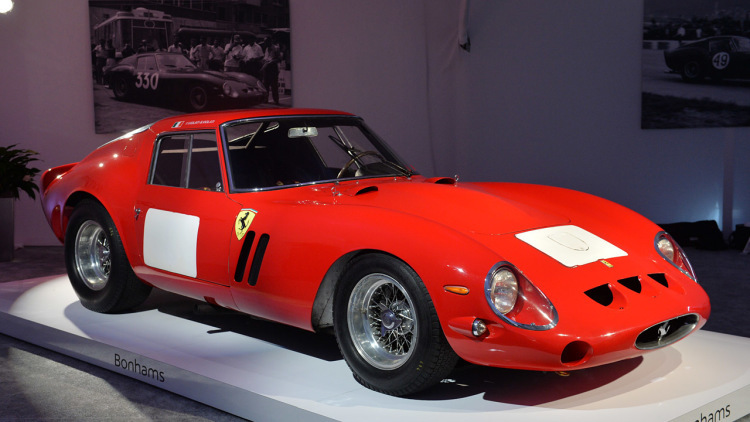 Most expensive supercar NOT for sale is the 1963 Ferrari GTO 250. Since none are currently available, you couldn’t buy it even if you had $53 million burning a hole in your pocket. Only 10 Deloreans of Back to the Future fame were ever made. After WWII, Ferruccio Lamborghini started a successful tractor and farm implement business. Being the savvy mechanic that he was, he figured out why his Ferrari clutch repeatedly failed and improved the design. The rest, as they say, is history. Not surprisingly, he and Enzo Ferrari weren’t best friends. The fastest American car in 1987 was the 245 hp turbocharged Buick GNX. It was faster than the Corvette. But apparently Chevrolet was not amused, so only 547 cars were produced. The first production Dodge Vipers had no windows, exterior door handles, or even anti-lock brakes. The titanium bolts on a Pagani Huayra costs $80 each. There are 1,400 bolts. With a little math magic, that means the bolts alone cost $112,000. For just $4 million, you can purchase the Lamborghini Veneno, which makes it the most expensive product car for sale. If you’re looking to rent a sleek, eye-catching fast car with sporty handling, visit Arizona’s oldest exotic car rental company—Rent A Vet—for a an affordable lineup of luxury vehicles. Get friendly, personal, and accommodating customer service when you CALL (888) 308-5995 & ASK FOR RICK, OR PLACE A RESERVATION ONLINE.